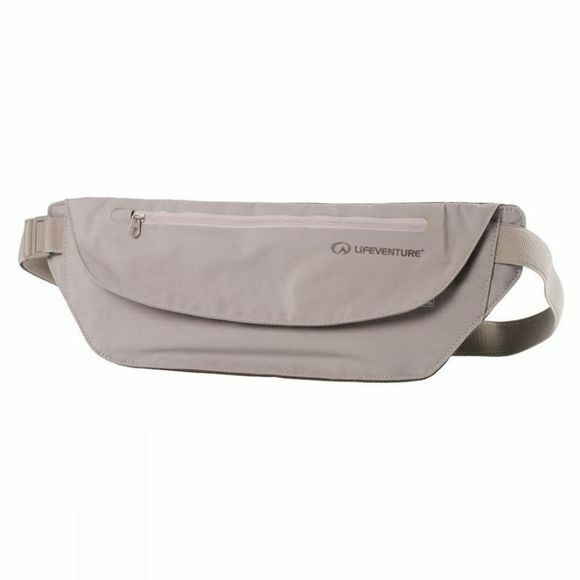 The RFiD Multi-Pocket Waist Wallet from Lifeventure is a lightweight, discrete, secure option for keeping all your important documents and cards safe while out exploring the world. It is made from a lightweight, soft stretch fabric and features a fast wicking nylon fabric on the back panel to keep you comfortable in warmer climates. It has one large zipped RFiD protected pocket for storing boarding passes, passports and other important travel documents while two zipped pockets are perfect for your cards and coins. It accommodates 26 to 44in waists and includes hip fins for added comfort. The elasticated webbing belt includes slim-line buckles so you are able to wear the wallet discretely.